An unusual set of celestial circumstances comes together Sunday for skywatchers in Europe, Africa and the Americas, where a total lunar eclipse may be glimpsed, offering a view of a large, red Moon. The full Moon will appear bigger than normal because it is closer to the Earth -- about 222,000 miles (358,000 kilometers) away -- which earns it the nickname "super Moon." - Monday at 0334 GMT, or 4:34 in the morning in France or 10:34 pm in Quebec, the partial eclipse will begin as the Moon passes into Earth's shadow. - In the United States, the edge of the Moon will begin to fall into shadow at about 7:33 pm on the West Coast and 10:33 pm on the East Coast, according to NASA. - From 0441 to 0543 GMT: for an hour and two minutes, the Moon will be entirely in Earth's shadow. But the Moon will not be invisible: it will appear tinted in hues of red, orange and pink. 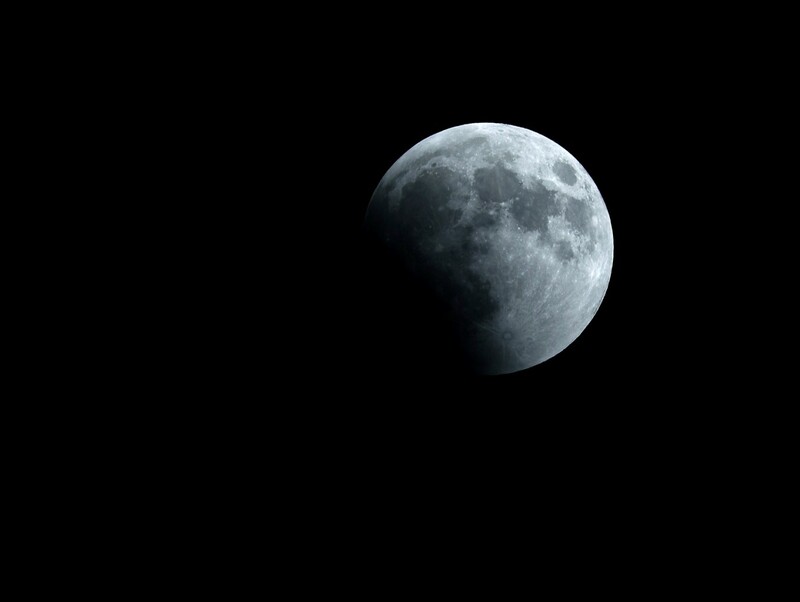 - At 0651 GMT, the Moon will be completely out of the Earth's shadow. Where is it visible from?